HomePrattville, AlabamaAbout Uncle Mick’sThere REALLY IS an Uncle Mick! There REALLY IS an Uncle Mick! Uncle Mick (aka Mickey Thompson) is the owner & manager of Uncle Mick’s Cajun Café. “At Uncle Mick’s Cajun Cafe, we always look forward to seeing you. We serve the best Cajun food in the area. Not all of our food is spicy – we have a little something for everyone. If you want to spice it up we have our own blend of hot sauce we make right here on location. If you’re having problems making up your mind, we offer samples of everything we have, just so you know what you’re getting BEFORE you pay for it. Mickey Thompson has been an entrepreneur in the Montgomery River Region over the past 40 years. His interest in Cajun cuisine developed during his prior career as a Real Estate investor, when he hired a Cajun carpenter for a two-week stint. Their relationship continued for another 15 years and Mickey became fascinated with Cajun spices and cooking. Mickey encourages customers unfamiliar with Cajun cuisine to sample every entrée before they decide, underscoring his commitment to customer satisfaction. Uncle Mick’s Cajun Market & Cafe’ opened its doors February of 2009. Their mission is to serve authentic Cajun cuisine in a family-friendly atmosphere. 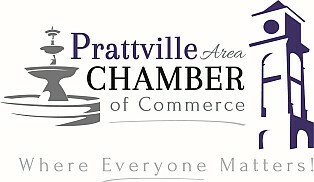 Uncle Mick's Cajun Market & Café is a proud member of the Prattville Area Chamber of Commerce.